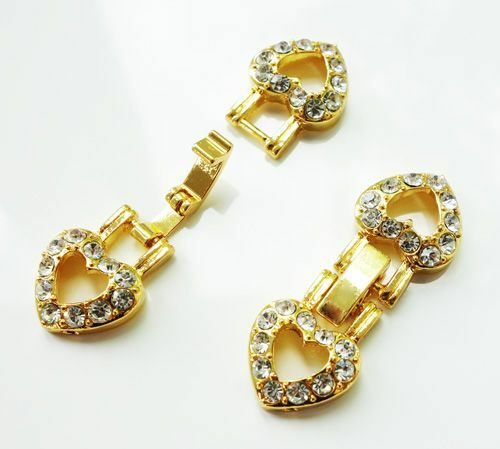 Fold-Over Clasp in gold-colour with rhinestones. Nickel-free. 2 holes for stringing per side.